On Friday, the IRS apologized for singling out conservative groups, especially organizations that had “Tea Party” or “Patriot” in their names, for additional reviews during the 2012 election. According to the Associated Press, Lois Lerner, who “heads the IRS unit that overseas tax-exempt groups,” said such groups were targeted and scrutinized excessively to see if they were in violation of their tax-exempt status. At a conference in Washington, Lerner “said organizations that included the words ‘tea party’ or ‘patriot’ in their applications for tax-exempt status” were targeted by IRS workers in Cincinnati and conceded it was wrong. The IRS harassment of conservative groups was not politically motivated, claims the IRS. Furthermore, Lerner says the practice of targeting conservatives was done without the knowledge of top IRS officials and was the work of lower-level staff in Cincinatti. The revelation stands in stark contrast to past proclamations from IRS officials. “There’s absolutely no targeting,” said IRS Commissioner Douglas Shulman last year. The IRS apology comes more than a year after radio host Mark Levin’s Landmark Legal Foundation wrote to the Inspector General of the U.S. Treasury in March 2012 to request an investigation of the IRS for targeting Tea Party groups. An investigation by the Government Accountability Institute found that IRS audits for tax-exempt organizations have skyrocketed 79% under President Barack Obama. “The IRS has demonstrated the most disturbing, illegal and outrageous abuse of government power,” said Jenny Beth Martin, National Coordinator for Tea Party Patriots. 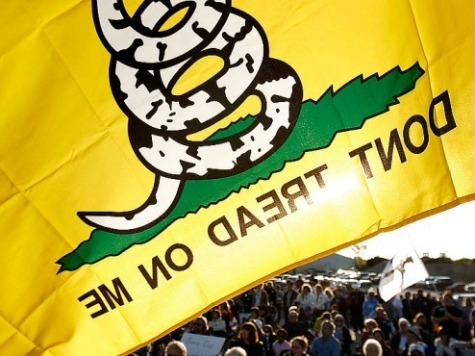 “This deliberate targeting and harassment of tea party groups reaches a new low in illegal government activity and overreach. It is suspicious that the activity of these ‘low-level workers’ was unknown to IRS leadership at the time it occurred. President Obama must also apologize for his administration ignoring repeated complaints by these broad grassroots organizations of harassment by the IRS in 2012, and make concrete and transparent steps today to ensure this never happens again. We reject a simple apology that does nothing to alleviate the danger of this happening again. Only immediate and public actions on the part of the IRS and the president will suffice. In April 2012, Rep. Tom McClintock (R-CA) published an op-ed at Breitbart News calling for such an inquiry, noting that state governments had once used similar tactics against civil rights organizations. Wynton Hall and Joel B. Pollak contributed to this report.